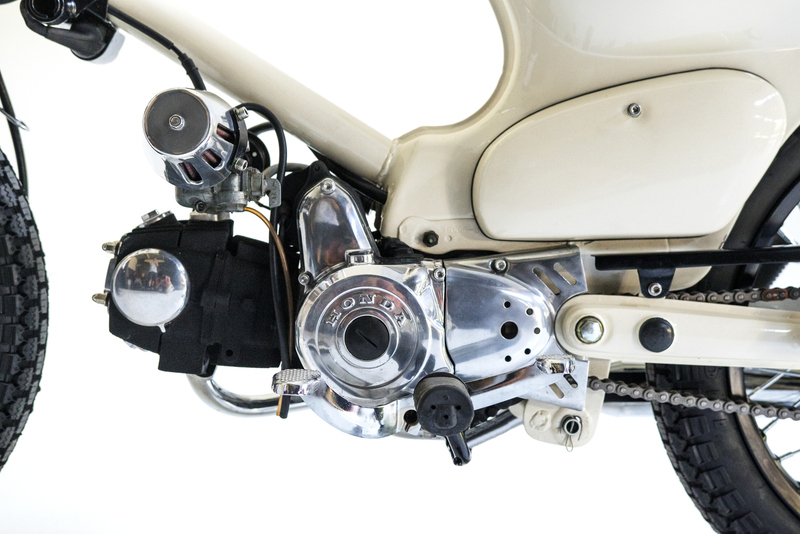 Since we wanted this new project to have more a bicycle feel to it, we sourced a few vintage bicycle pieces from a neighbouring island and had them restored before adding them into the mix, such as the handlebars and the front light. Another cycle inspired addition was the front basket. 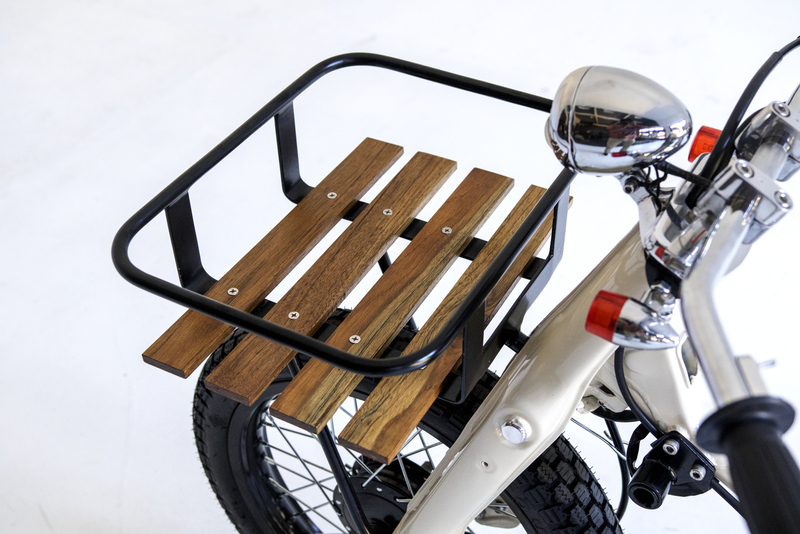 A custom metal frame was cut and welded up before being adored with treated wooden slats to give it the perfect nostalgic touch. 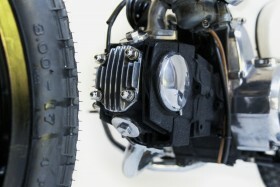 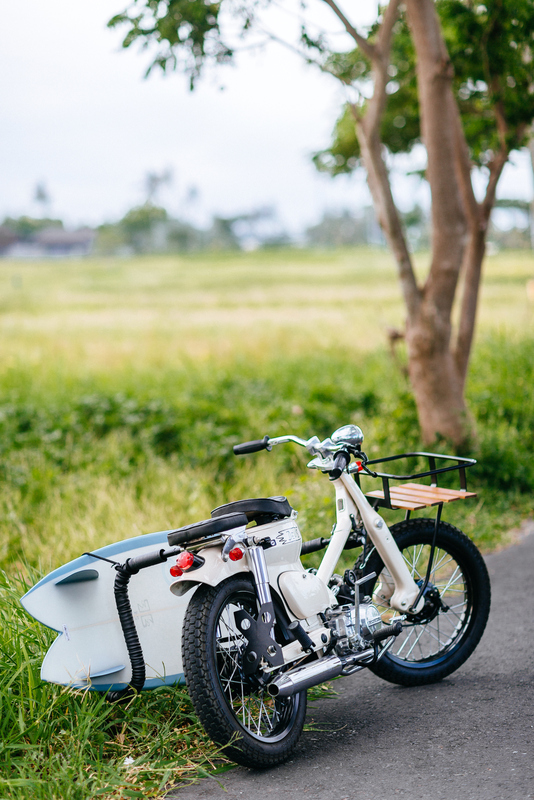 Overall we wanted the bike to be as lightweight as we could make it, so we swapped out what we could to aid this, using some imported rims from Japan, stripping the frame of any unneeded parts and generally keeping things simple and purposeful as possible. 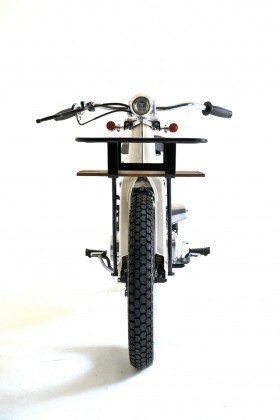 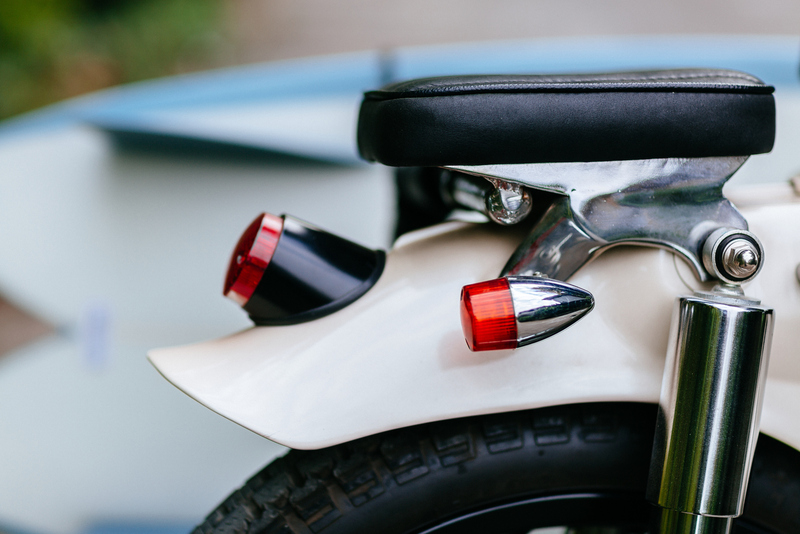 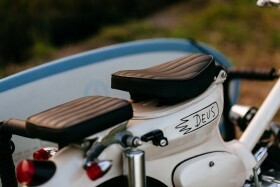 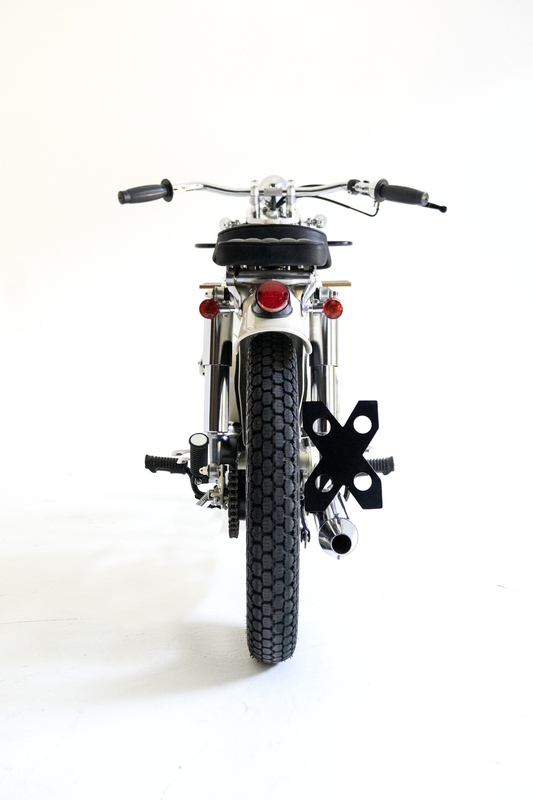 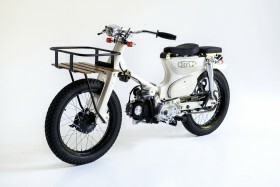 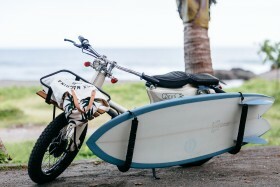 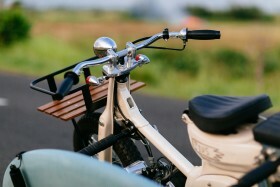 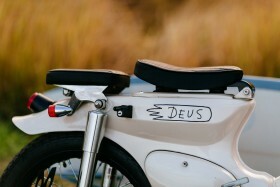 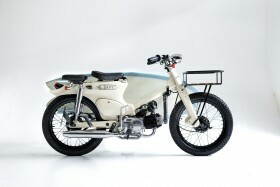 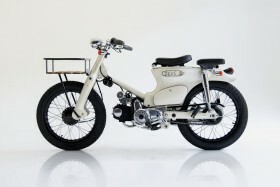 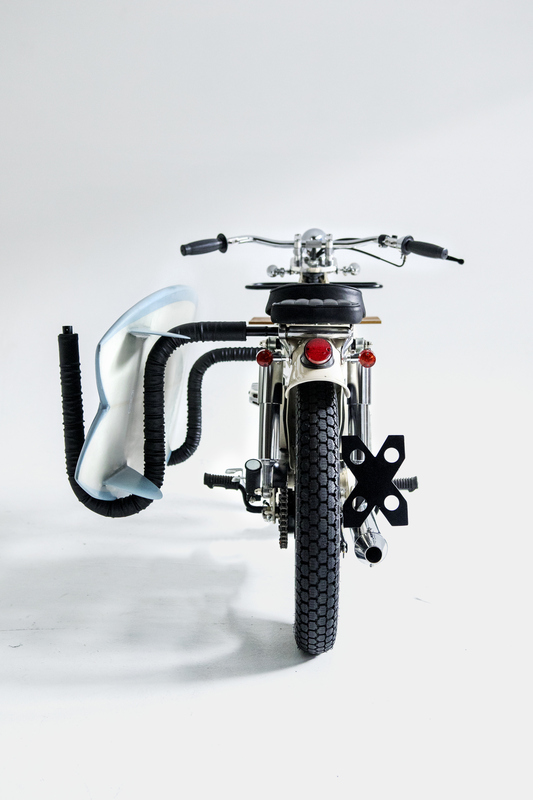 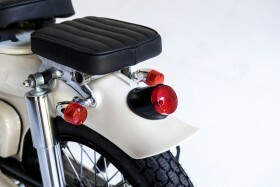 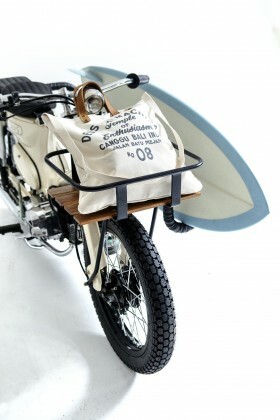 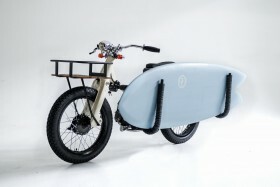 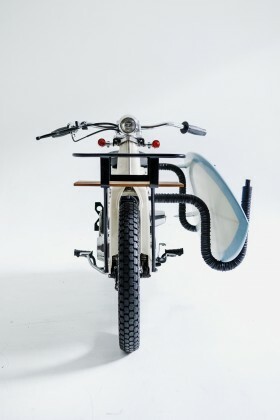 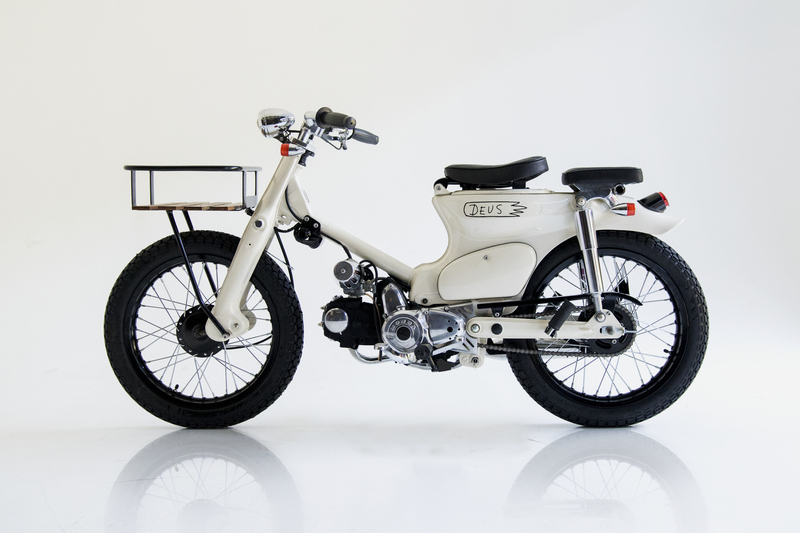 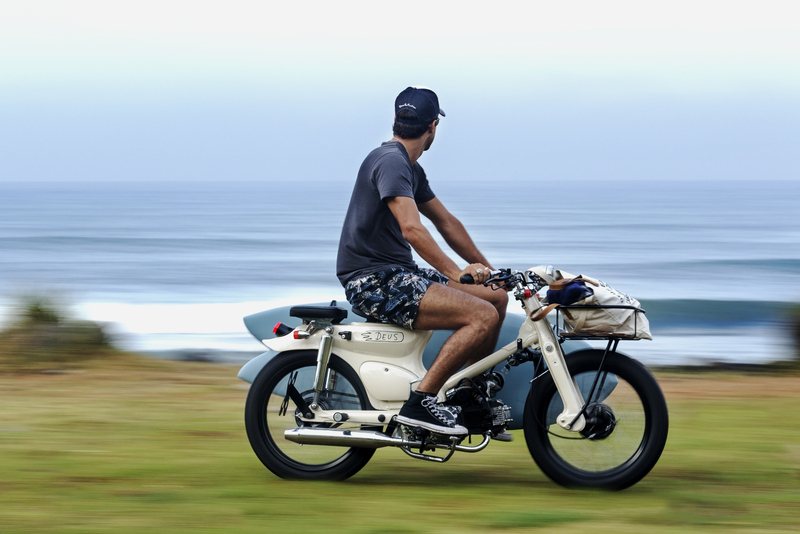 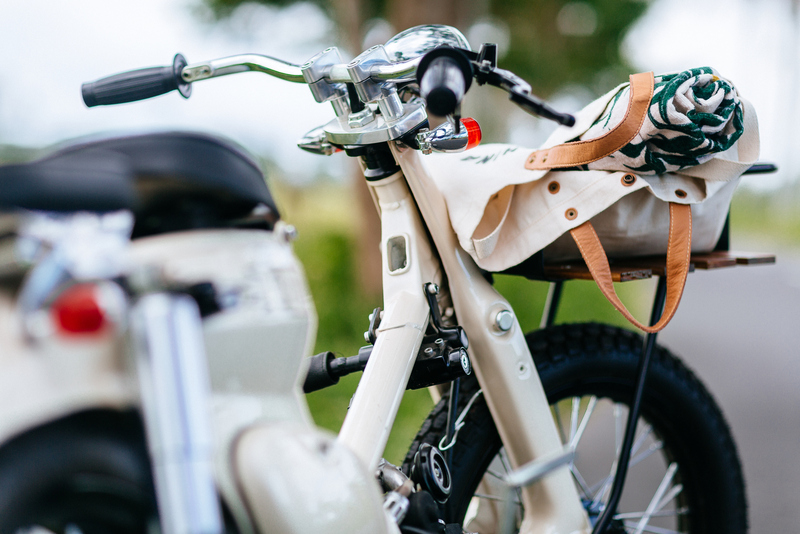 The exhaust was hand made along with the surf racks, the leather seat was made in a little leather shop just down the road and the bicycle handlebars sport some Japanese small switches. 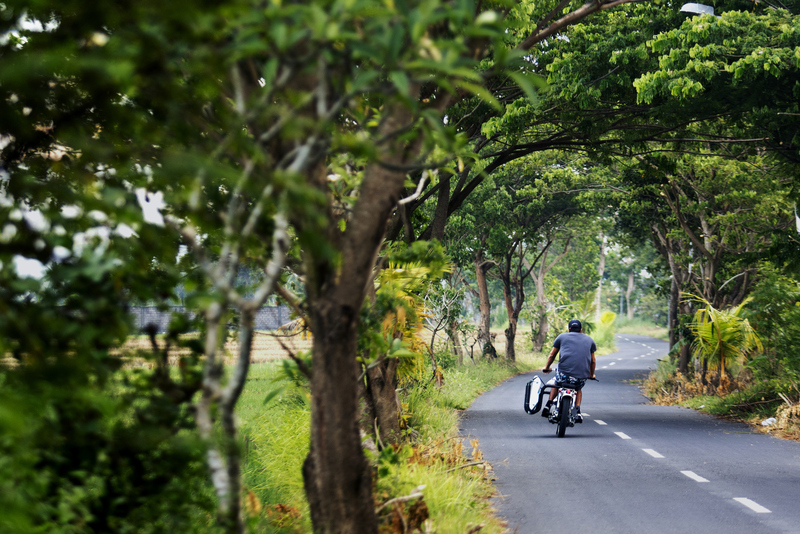 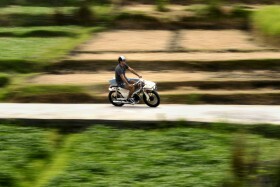 As soon as it was rolled out of the bengkel doors, we all fought over who got to test ride it around the block first and every single person came back with a smile from ear to ear. 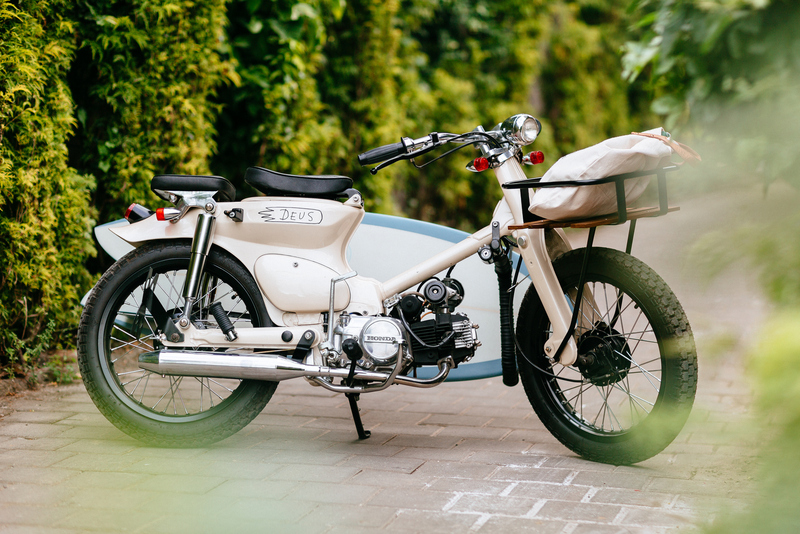 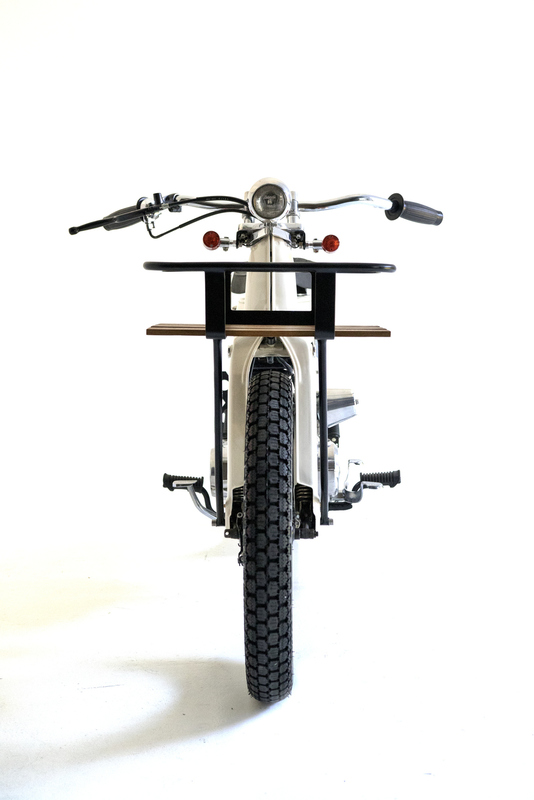 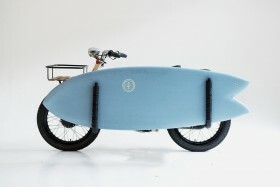 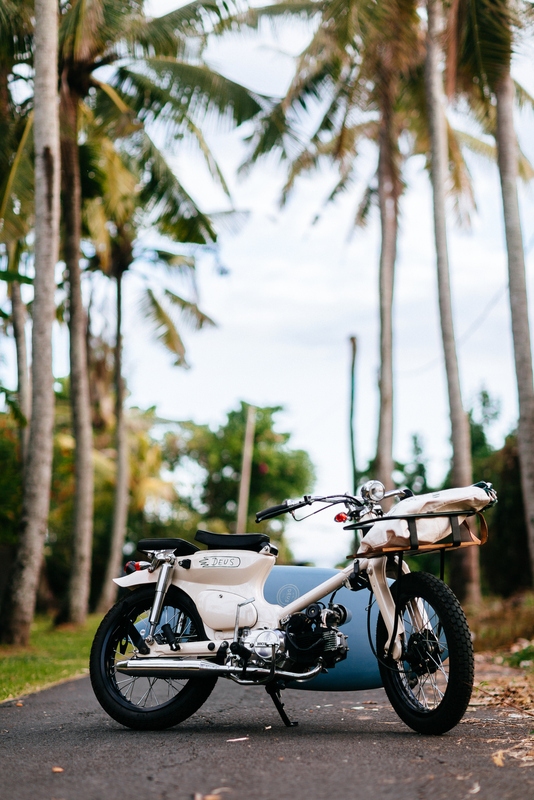 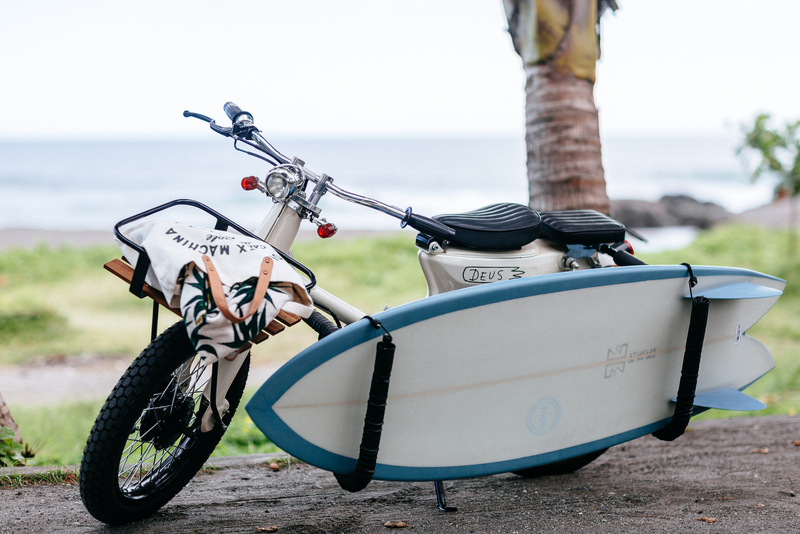 “The Seasider” just got rolled onto the showroom floor at the Temple of Enthusiasm in Canggu, so if you are in the neighbourhood, drop by and check it out in person!